Established in 1979, Kaplan Paving is leader in commercial and residential asphalt paving services in Libertyville IL. We serve municipalities, schools, villages, country clubs, residential, commercial, and other clients in the Libertyville and greater Chicago area. We offer a range of services including driveway paving, crack filling, asphalt repairs, decorative asphalt paving, sealcoating, driveway replacement, parking lot pavers, line striping, and more. 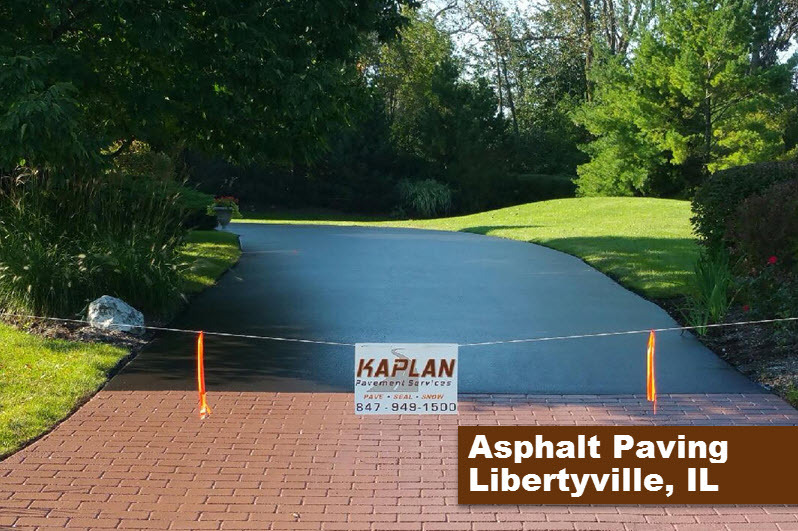 Kaplan Paving is the 1st authorized Street Print vendor in Libertyville Illinois area. We are leading the industry in custom stamped asphalt designs, asphalt paving and installations for all decorative asphalt. We have 100’s of satisfied clients in Libertyville IL including commercial and residential projects such as parking lots, driveways, walkways, patios, cross walks, golf cart paths and more. Our reputation for the highest quality asphalt paving in Libertyville IL and Cook County, IL is the best. Our customers know we focus on the quality of our work more than the speed at which the job is done. Nothing says quality, like not having to call us back after the project is completed. However, should you ever need anything, our asphalt paving service is #1 and our reputation speaks for itself in Libertyville IL as the premier asphalt paving contractor. Contact us today for a free estimate on asphalt paving, asphalt sealcoating, driveway paving or snow plowing for quick reliable service.